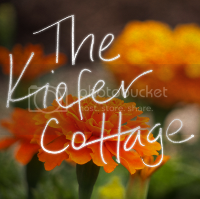 The Kiefer Cottage: Where's Dionne Warwick when you need her? May I call you friend, lovely reader? Perhaps. Maybe we've built an online relationship or one in real life (yes, online friendships are real. 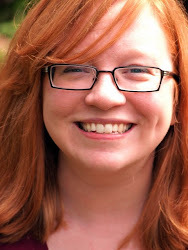 I am a founding member of a virtual group that just celebrated its 5 year anniversary). Or maybe you're my enemy who cannot help looking at my blog because you want to laugh derisively when I do something stupid (which is often) or scoff at my lame attempts at humor. Or maybe we were friends before but you haven't figured out how to break up with me. Or maybe you're a complete stranger who came across my blog because you're looking for that damn castle in Kiefer, Oklahoma (something for which we get dozens of clicks every week). I have been thinking a lot about my friendships recently. Those who know me in real life might remember all the entertaining I used to do at my previous dwellings and think I've continued all these shenanigans in the Midwest. Others might think all I do is go out to eat every couple of weeks and otherwise sit in my house and read. Why the drastic difference? Three children, for starters. Kids don't necessarily get in the way of a social life, but they certainly can change it. Frequent relocation to foreign lands (Kansas is soooo exotic!!) doesn't help either. But mommy, we're best friends! That isn't enough? This past move, though, has been the most difficult for me and often, quite lonely. Partly because I became a stay at home mother to my children in a brand new place, and also because when you reach a certain age, it just seems more difficult to start from scratch. Trying to nudge my way into social networks that are firmly entrenched from years of cultivation by their members has been frustrating (it was hard back in Georgia, too, but at least I had work colleagues). I have been lucky enough to have a few local people I think I can call friend (as well as many throughout the country)--hell, one of them decided to move right around the corner from me, so yes, she is definitely a friend--but I've been feeling the itch to spread my wings more and expand my circle. Or at least deepen some of the relationships I've already formed. As the children get older, it has become easier to be social. I now have no excuse, right? So is it even possible? I think so, but it will not be easy. I'd really like to have a big farm dinner this summer, and I am dreadfully afraid no one will come. It's like high school all over again (side note: the blogging world is very high school, except with fewer meanies, and more nice women. The amount of sucking up to some bloggers is hilarious, and I even find myself doing it, too. Please love me! I'm your biggest fan! That's the most beautiful chalk-painted toilet seat EVER!). But I guess that the ball's in my court. If the party consists of me polishing off my delicious shepherd's pie all by myself, then I'll start being friendlier with the local fauna. Or I'll make more dental cleaning appointments so that the hygienest and I can talk more about the weather. Or I'll become a helicopter parent and suddenly declare my children my best friends. Yup, that's the ticket! The world needs more hovering mommies! we'll come and we'll invite our neighbors? And this is all provided that I'm invited... otherwise, turtle riding is off. I would come to your farm dinner! One, because I don't know what a farm dinner is. And two, because I would like your's and your husband's hilarity to rub off on me. My motivations are nothing but selfish.